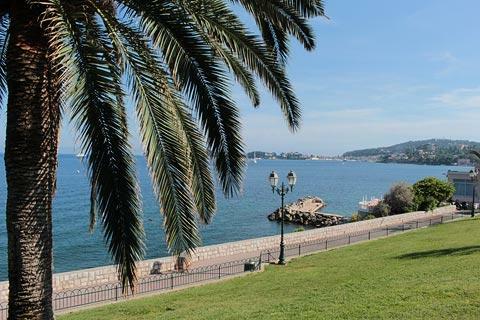 Beaulieu-sur-Mer is a small resort town on the French riviera a few kilometres east of Nice and at the north-east end of the Cap Ferrat peninsula. 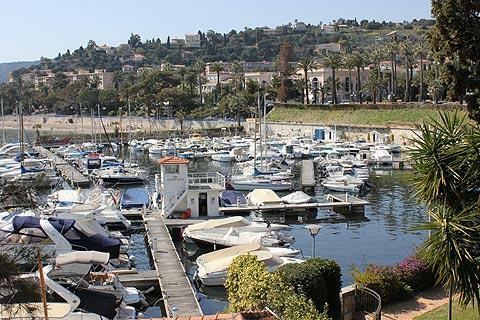 It is of course the sea front that attracts visitors to Beaulieu-sur-Mer and where your visit will focus. The walk from north to south along the coast is about two kilometres long in total and includes two beaches, two ports and a pretty promenade. 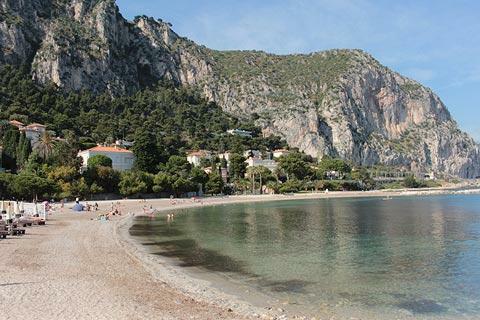 The seafront in Beaulieu-sur-Mer has two separate beaches, both of sand and fine gravel. 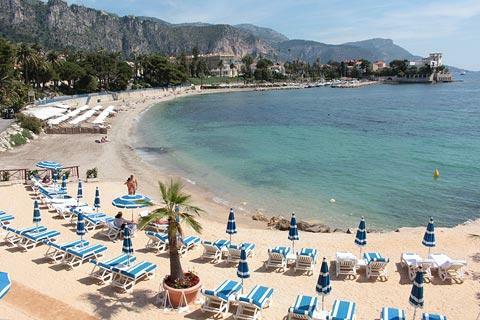 The Plage des Fourmis is to the south of the centre and the smaller of the two beaches, but very picturesque with views along the east coast of Cap Ferrat. The Plage Petite Afrique is to the north of the pleasure port, larger and also more sheltered, being in a natural harbour. 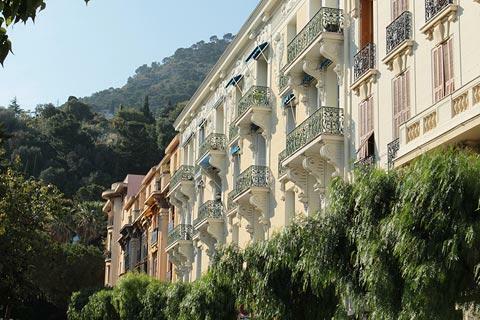 With the mountains as a backdrop, it is also easier to park at the Plage Petit Afrique. 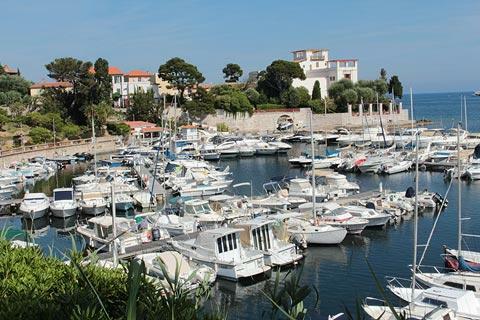 Next to the Plage des Fourmis there is an attractive small harbour, only large enough for small boats. 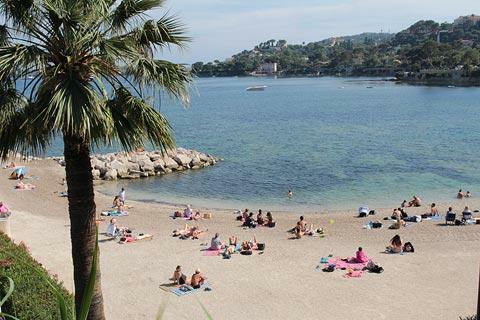 The main pleasure port for Beaulieu-sur-Mer is next to the Plage Petit Affrique and is where you will find the larger yachts as well as a good selection of restaurants. 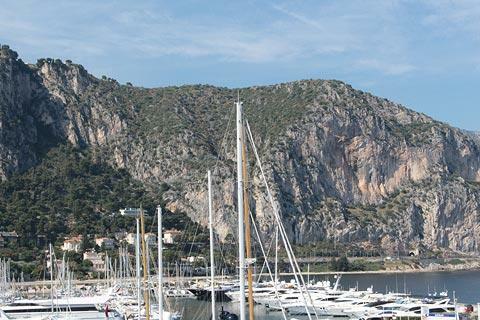 As you walk around the pleasure port you can also enjoy the impressive backdrop of cliffs behind the town. 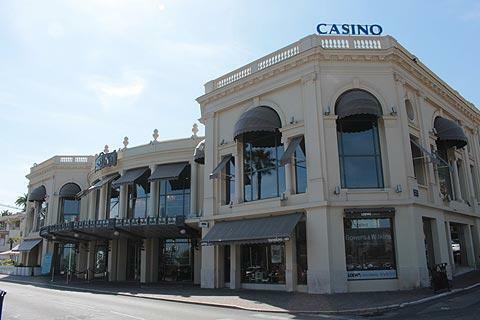 Between the two ports there is an attractive promenade as well as more restaurants and the town casino. Also next to the coast here you can see an attractive building called the rotunda, a round 19th century building that is now used for various exhibitions, and a small park. A commemorative plaque notes that during the second World War the rotunda was converted into a hospital for wounded soldiers. 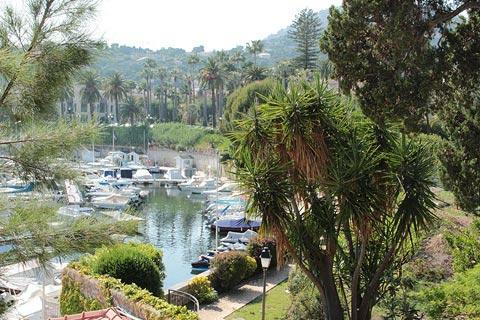 Although most of your visit will be near the coast, you will find that the town centre in Beaulieu-sur-Mer between the small port and the train station is also pleasant to explore. 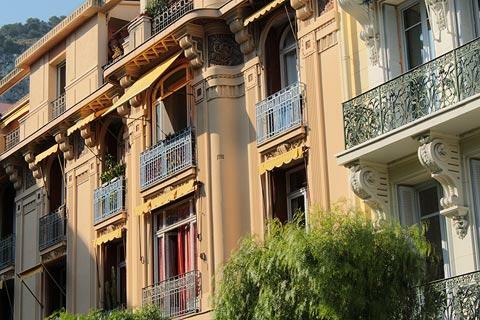 There are some charming 19th century townhouses with wrought iron balconies as well as a small park. 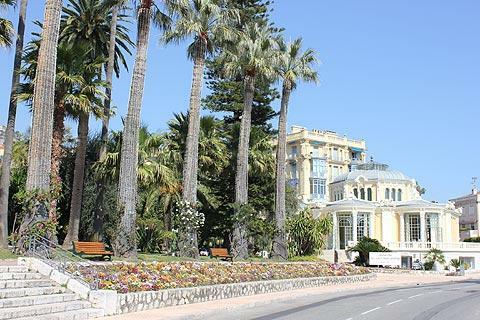 The tourist office for Beaulieu-sur-Mer is in Place Georges Clemenceau next to the train station. 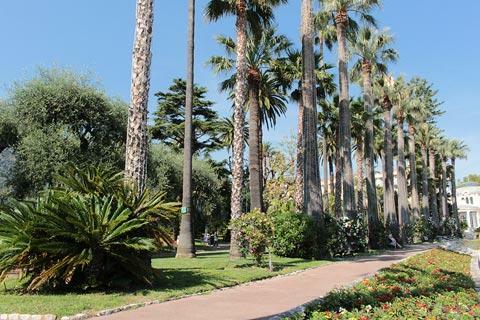 You will also find a supermarket here: this is very useful if you are travelling without a car or don't want to drive in the riviera towns (roads can be a bit hectic and stressful). 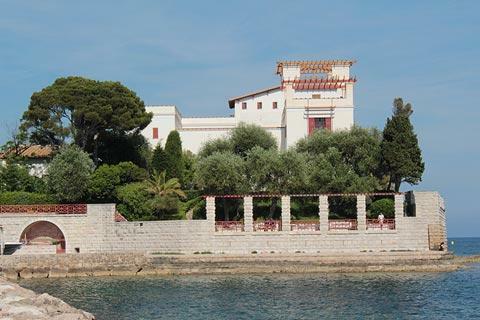 One important attraction in Beaulieu-sur-mer is the Villa Kérylos, on the end of a promontory next to the Baie des Fourmis. Built in the early 20th century this villa is a meticulous recreation of a luxurious Greek Villa from the second century BC. 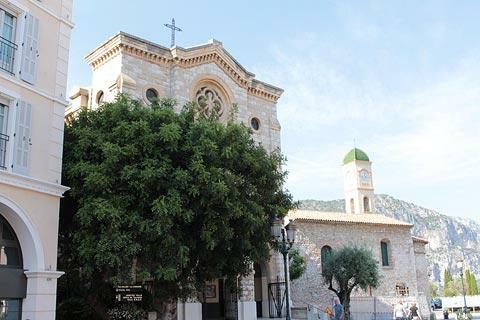 There is a colonnaded central courtyard and rooms containing mosaics, marble panelled walls and decorations of the time (and furniture that often looks rather 19th century), as well as a gallery featuring casts of some famous Greek statues. See Villa Kerylos for details. 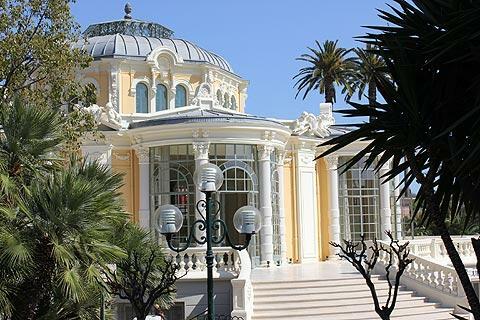 Beaulieu-sur-Mer stands at the north-eastern end of the Cap Ferrat peninsula with its coast path and the Villa Ephrussi is only 800 metres from here - if you are planning to visit both Villa Ephrussi and Villa Kérylos you can buy a reduced price ticket giving admission to both properties. 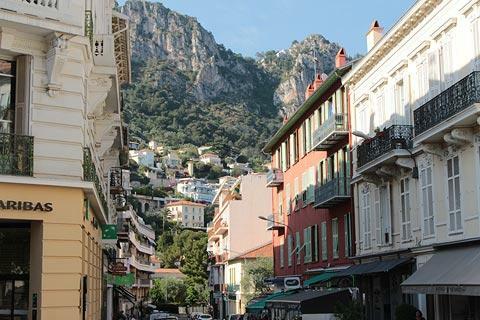 Further afield there are numerous resorts and villages of interest such as the nearby village of Villefranche-sur-Mer - see Alpes-Maritimes for details of some of our favourites.